If you are having issues with your commode, Sirius Plumbing and Air Conditioning president, Brent Garrett, is here to help. Most bathroom service calls at Sirius are concerned with toilets leaking or general not working. First, we will discuss leaking. There are two main places that leaks occur. 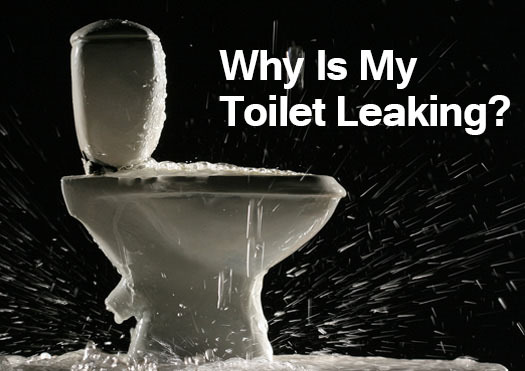 Leaking often occurs either at the connection between the wall and the toilet or where the base of the toilet connects to the floor. Water is supplied to the toilet by the connection to the wall. That is why it is a common area for leaks. If you are experiencing a leak here, there are a few things you can do. First, turn the water off. This will stop continual flow of water to your toilet. To turn the water off, locate the valve at the base of the connection to the toilet. Turn this valve clockwise until the water is turned off. If you do not possess the skills to repair the leak yourself, it is now time to call a plumber. Leaks from the base of the toilet are more difficult than a leaking connection. If you determine that your toilet is leaking from the base, you need to call a plumber. Repairs at the base of the toilet are more difficult because they require the toilet to be lifted from the floor to install a wax seal. Now to discuss general operational issues. For starters, the anatomy of a toilet includes a tank, tank handle and a bowl. The tank is where the water is held. Also, found in the tank is a fill valve and a flush valve. Now to get serious about operational issues, is your toilet running? Yes? Well, you better go catch it! And here is how. The issue may lie at the flush valve. This is where the flapper is located. If the flapper is not sealing properly, this can cause your toilet to run. The way to fix this is to replace the flapper. It is possible to do this yourself. If you are not comfortable with this, you can also contact us to have one of our trained technicians fix the issue. Another possible source of the running is at the fill valve. This can often be identified by a noise when a float piece is submerged. Under normal conditions, the float piece will float on top of the water in the tank, indicating when the fill valve should shut off. If the float piece is not working and is submerged, the fill valve will not shut off. This causes a running noise to come from the toilet. The fill valve will need to be replaced if it is determined that is not working. It is possible to replace the fill valve yourself, but again if you are not comfortable call us at Sirius Plumbing and Air Conditioning to do the work for you. You can schedule a service call with Sirius at 972.235.6600. For the fastest service, please fill out the service request form on our website. Leaking, either around the base or in the tank. We’ll look at the probable causes for each of these and how to fix them. There are two areas where your toilet may be leaking: around the base, or between the flapper (at the base of the tank) and the drain. One way to find the source of a leak is by using red food coloring. Start by flushing the toilet and wiping the area around the base clean. Wait for the tank to refill, then add a teaspoon of food coloring. Flush and wait an hour. Once time is up, use a dry paper towel to wipe around the base. If it comes away with the food coloring, your leak is around the base. You probably need to replace the wax ring or flange. If it’s not at the base, repeat the experiment with the food coloring, except don’t flush this time. Wait an hour, and then check the toilet bowl. If the water has turned red, you probably have a warped or damaged flapper that is allowing the tank to drain. Replacing the flapper can easily fix this problem. If you notice that your toilet is constantly running, you may have a problem with the flapper or drain seat. If those appear to be undamaged, check the fill valve. It may have sediment buildup that’s keeping it from sealing properly. The seal itself might also be damaged. That can be checked by removing the fill valve cap. If neither the flapper nor the fill valve needs fixing, then your tank’s water level might be too high. To lower the water level, adjust the floater cup on the fill valve so that it sits lower in the tank. The tank lever could also be an issue. Replacing it can keep it from sticking in place and holding the flapper open. The most common problem a toilet will face is clogging. Often, this can be fixed by using a flanged plunger. If that doesn’t solve it, use a plumber’s augur or snake. Simply insert the spring into the toilet bowl drain and work it until the clog is clear. If you’re facing persistent problems with your toilet, calling a plumbing expert can help set things in order again. If you have questions or need plumbing repairs, contact Sirius Plumbing and Air Conditioning today.